Laser Lipo 600LC is the revolutionary fat reduction and body contouring treatment. It reverses the effects from your diet, which stores excess calories directly into the adipose tissues. The procedure targets the stubborn areas and achieves measurable and noticeable results quickly and safely. Laser lipo is specially designed for non-invasive body sculpting/contouring procedure. The laser is applied externally and has proven through double blind clinical trials to stimulate adipose tissue. The laser lipo pro is designed to help reduce body fat, shape and tone the body without surgery. Photo bio-stimulation causes the same natural metabolic process that occurs in the adipocyte during exercise and dieting, which results in fat being released into the blood to be used as a source of fuel. Our technology accelerates the exercise effects and can be targeted to specific parts of the body for optimal results. 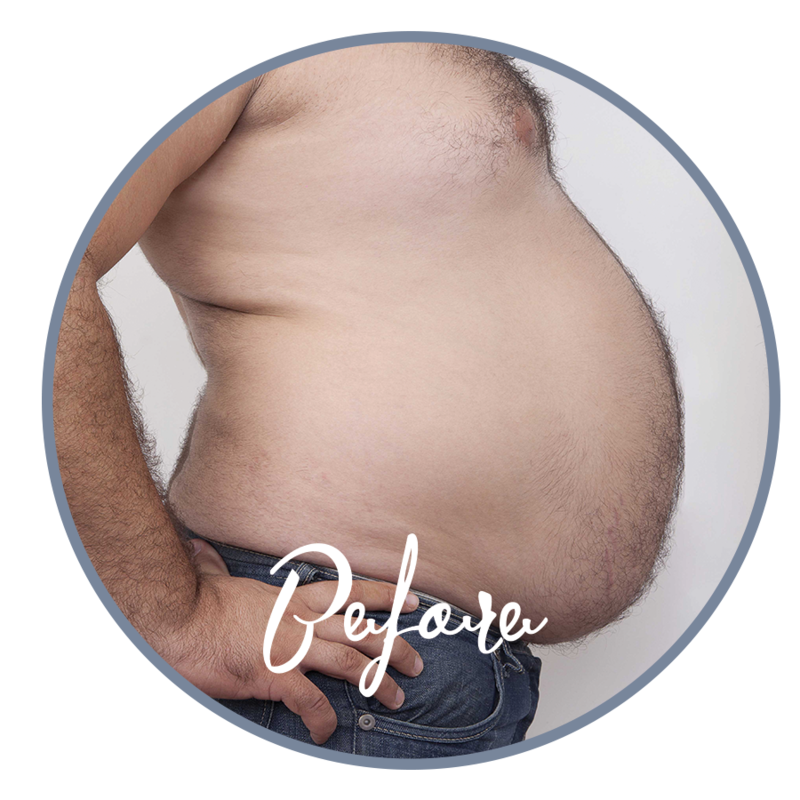 After treatments, your fat cells will have shrunk in size and shape leaving the cell that once looked “grape” like, now looking more like a “dried raisin”. This accounts for the measured reduction in the area of concern. Exercising directly after the treatment uses up excess fatty acids as fuel, avoiding any chance of re depositing. In conjunction with exercise and a sensible diet optimum results are easily achieved, measurable and noticeable. 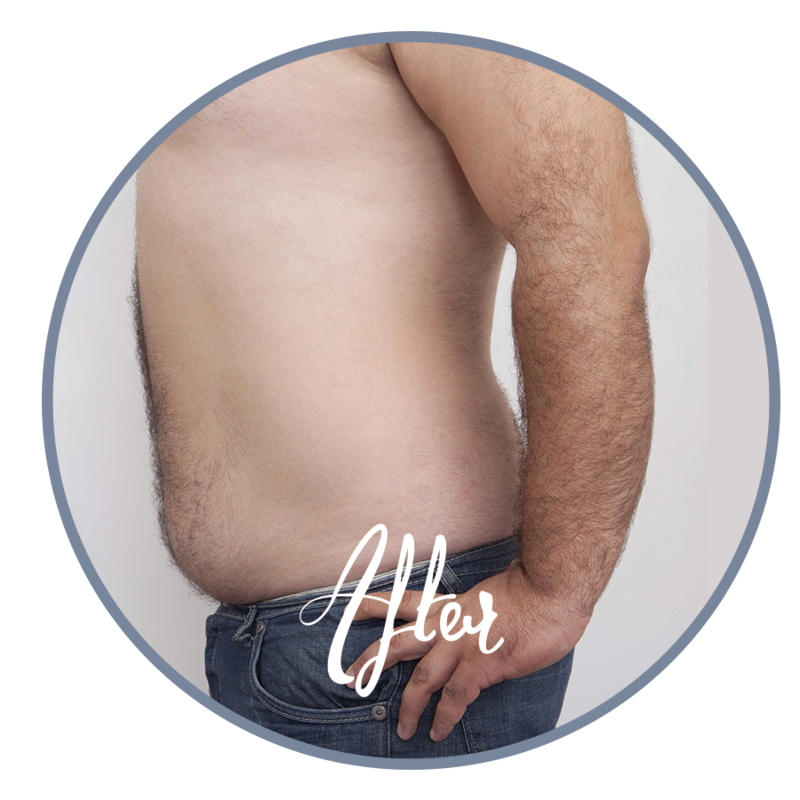 Laser lipo therapy offers a non-invasive & holistic treatment solution with no use of: anesthesia, gels, creams, numbing agents, needles or downtime. It is safe, pain free and affordable. These treatments can be used in conjunction with other treatments. Results are cumulative and a treatment series is typically recommended for maximum benefits. How Does Laser Lipo Compare to Natural Weight Loss? The science of laser lipo is the ability to stimulate the release of Triglycerides (fat) from the targeted fat cells. The process of releasing water, free fatty acids and glycerol from the fat(adipose) cells, is not only natural, it is essential for the human body to function. The human body is an energy machine. It intakes fuel (calories or food), converts the fuel into an energy source, stores it as triglycerides in fat cells and then releases it when needed. The challenge is that sometimes the body stores more energy than it needs in its fat cells, resulting in an increase in an individual's physical size. Thus, it is by targeting this excess energy storage, and by further stimulating the body to undergo its natural process of releasing it the Laser Lipo achieves its impressive results. You can resume normal activities immediately, as the Laser Lipo is completely non-invasive with no down time. Each laser lipo session is followed by 10 mins of Vibration Plate to increase lymphatic drainage (natural DETOX). Cardio type activity is encouraged after treatments to burn off the released energy (aim to burn 350-500 calories). Why do I need to exercise after treatments? Exercise accelerates the lymphatic drainage for greater and faster results. During exercise, your breathing rate and skeletal muscle contraction rate increases. This speeds the flow of lymph, which removes excess fluid and wastes, and increases the delivery of nutrients to the tissues in the body. Male & Female clients have found that the trouble zones includes love handles, tummy bulge, and saddlebags. All of these can be treated quite significantly within just a few treatments. Results will vary from person to person.. Results will be greatly improved by your commitment to a treatment plan, healthy diet, and exercise. How many times do I need it? A standard treatment program is: two to three times a week with 15-20 minutes per body part for 4-12 weeks. The exact number is dependent on the area to be treated, your size, your fitness level and your goals. Why are multiple sessions recommended? Laser lipo follows the “little and often “ principal; so that you can burn off all the released calories after each treatment. Each treatment continually works on the layers of fat. Treatments also promote skin tightening in the area of fat removal, which is effectively accomplished over the course of treatments. Who is the ideal candidate for Laser Lipo conturing and fat reduction? A client that combines Laser Lipo with a healthy diet and exercise program. The most immediately noticeable results are often shown in individuals: who exercise (or have exercised) regularly, are not obese, just have localized fat deposits that they cannot get rid of with diet or exercise.